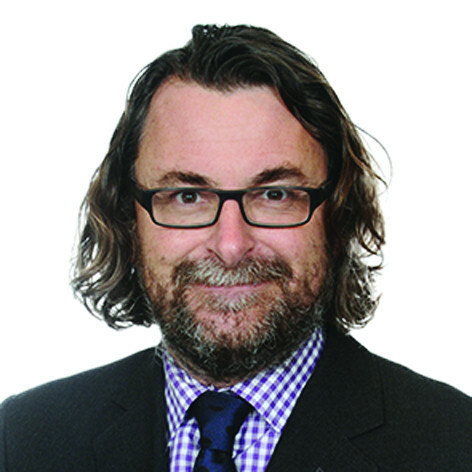 Jon Hart of award-winning law firm Pinsent Masons LLP takes a look at a recent UK Supreme Court decision on the common law definition of ‘highway’, the meaning of ‘two spits’ and what this might mean for transport authorities and developers. Every now and again it is a good idea to challenge assumptions about familiar and well-used words. Take the name of this distinguished publication, for example: ‘Highways’. What does this mean? In a unanimous decision, handed down last month by the Supreme Court, the UK’s highest court considered this question. The case was between two public authorities (London Borough of Southwark v Transport for London,  UKSC63). Some aspects of the court’s finding may be seen as surprising – and may have ramifications not just for transport authorities but stakeholders in property development schemes beside, above or beneath highways. First, some definitions – or lack of definitions. It is perhaps surprising that there is no single meaning of ‘highway’ in law. One of the judges referred to the ‘rich tapestry’ of the law in this area. Over the years, the law has had to distinguish between those who own highways, those who are required to maintain and repair highways and highways users. These rights can change over time – for example, if I am no longer obliged to repair and maintain a road, does this mean that I no longer ‘own’ it? Furthermore, where do my rights end? At black-top level, at drainage level, or further below? Does this mean I have rights in respect of minerals and other finds beneath the road? Likewise, where do my rights above the highway finish? Am I allowed to erect a structure over a road – run cables for trams or build a suspended structure above it? These kinds of questions were at the heart of the case that the court was asked to consider. Historically, cases had considered that ‘highway’ might mean ‘surface and top two spits of subsoil’ beneath the carriageway and limitations above the carriageway (what has sometimes been referred to as the ‘Baird’ principle after an old case from 1896). These considerations were important for both Transport for London (TfL) and Southwark, given the way in which local government and the local road network had been dealt with in the legislation associated with the establishment of the Greater London Authority back in 1999. 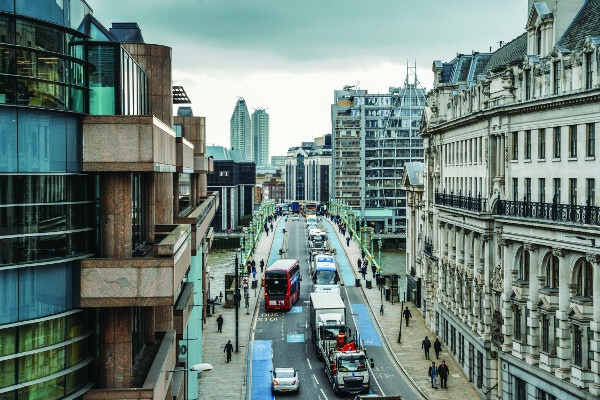 TfL had sought clarity from the Supreme Court about the legal definition of ‘highway’ following the transfer to it of roads previously maintained by London’s borough councils. The relevant statutory transfer arrangements provided that TfL was receiving ‘the highway, in so far as it is vested in the former highway authority’. In simple terms, TfL had been seeking determination that the council had previously enjoyed wide rights and therefore TfL was entitled to those same wide rights, especially in relation to rights above the roads; the council argued that the rights were much narrower – and applied only to that part of the vertical plane above the road as was necessary for the operation, maintenance and repair of the highway. Given the financial value associated with these kinds of questions, there were probably many other interested parties looking on to see what the final outcome of the case was going to be. The Supreme Court took a careful look at this issue. They came to the conclusion that there is no one meaning of the term ‘highway’ when it comes to rights of ownership. Instead of some of the older terminology that dated back from the 19th century, the court gave approval to what was considered as the ‘zone of ordinary use’ for a road: a more flexible concept covering various depths of subsoil and airspace height depending on the nature and intensity of the use of the road. Consideration focused particularly on the types of rights that local authorities might have applied in relation to affected highways. Where authorities were responsible for the maintenance and operation of highways, their rights may be more limited than, for example, where they owned property alongside the highways in question. In the former case, the meaning of highway may be narrower following the old ‘Baird principle’. Where the authority was an owner of land adjoining the highway, then it would be more likely that they would have wider rights and entitlement, including potentially lucrative development rights above the highway itself. So what does this all mean in practice? Certainly the flexibility approved by the Supreme Court in relation to the meaning of ‘highway’ can be seen as a good thing – one could imagine circumstances where the blanket imposition of the old Baird principle across a range of different scenarios could give rise to unforeseen outcomes. However, this case does mean that those involved in highway matters should carefully consider how the term is being used and be alive to matters of interpretation. For example, in matters of negotiation, taking time and trouble to ensure that all parties involved in a highway matter are using the same definition and have a shared understanding is likely to be of increased importance. This means giving consideration to the extent of land, vertically and horizontally that is required for a highway. Following this case, airspace and subsoil above and below the surface of the highway may well be included within a ‘zone of ordinary use’ where they may previously have been excluded from the previous definition of ‘surface and top two spits of subsoil’. In practical terms, if there are particular sub-surface or airspace construction issues in relation to developments, these should be specifically addressed. Additionally, in view of this case, consideration should be given as to the scope to widen the horizontal extent of the highway beyond its surface, to adjoining land, where such land is required to facilitate the ordinary use of the highway. This last point will be an important consideration for both the dedication of land as a highway and also the ‘stopping up’, or closure, of a highway. Parties will need to ensure that only necessary land is included within the highway; and any development value in the airspace, subsoil and adjoining land around the highway is protected. And the meaning of ‘spit’? The relevant cases and legal authorities are quite clear on this point, albeit that this may differ from interpretations in football’s Premier League. A ‘spit’, of course, is the depth of a spade.